Marshall is best known as the founder of How Stuff Works. He started HowStuffWorks as a hobby in 1998 and it has grown to be one of the top Web sites in the country. In 2007 Discovery Communications purchased HowStuffWorks.com for $250 million. Marshall is also well known as the host of the show “Factory Floor” which appeared on the National Geographic channel. As an author, Marshall has written several books, including Robotic Nation essays and the book Manna. The article How to make a million dollars is also very popular. Marshall has appeared on the Oprah Winfrey Show, Good Morning America, the Dr. Oz show, CNN, MSNBC, and Modern Marvels. Today Marshall is the Director of the Engineering Entrepreneurs Program at NCSU. He is an active participant in the entrepreneurial community in RTP as a mentor, coach, consultant and adviser. Niels Lindquist and David “Clammerhead” Cessna invented Oyster Catcher™ and founded Sandbar Oyster Company to improve the quality and productivity of coastal ecosystems they, and so many others, depend on and cherish. Coastal degradation has tremendous negative economic implications – threatening lives, livelihoods and properties of coastal residents and estuarine ecosystems vital to resilient, sustainable fisheries. The integrity and ecological functions of coastlines worldwide are being progressively undermined by growing coastal populations, rising sea levels and intensifying storms. Restoring oyster-based ecosystems is key to enhancing many coastal fisheries and protecting coastal properties and communities. In addition to improvements in environmental quality and coastal resilience, SANDBAR’s products and services will underpin robust manufacturing and deployment workforces nationally and internationally, as the company becomes a leader offering nature-based solutions for restoring critical estuarine habitats and protecting coastal populations from the devastating impacts of shoreline erosion and flooding. 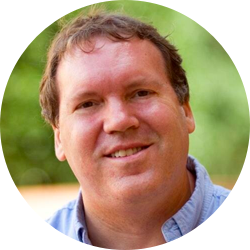 Allan is the president of OptaHub – a cloud-based solution for environmental data management and project automation. 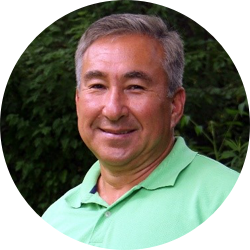 Allan is a Professional Geologist with over 30 years of experience in the assessment and remediation of sites contaminated by hazardous materials and petroleum products. 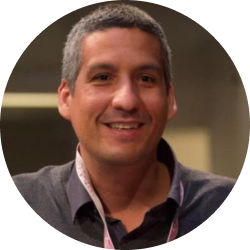 His experience includes projects ranging in size and complexity from small gasoline stations to large refinery complexes and manufacturing facilities. He holds a BA in Geology from SUNY Plattsburgh and an MS in Geology from Lehigh University. In his career as an environmental consultant, Allan has reviewed thousands of reports. The majority of his review time was not spent formulating new ideas for predicting contaminant flow or identifying opportunities to increase pollutant recovery. Instead, it was spent looking for stupid mistakes – the kind of mistakes that keep environmental consultants up at night, mistakes that could cause regulators to lose trust in his work, and mistakes that could cost his clients money. Allan realized the best way to prevent errors is to use technology to eliminate the opportunity for them to occur in the first place. In 2013 he teamed up with two young computer geniuses to create OptaHub.com, a cloud-based platform that automates data upload, data management, mapping, statistical analysis, and reporting processes. Topic: Drones in Marine Science…an Amazing Intersection of Science and Technology! Two years ago, the Duke Marine Lab in Beaufort, NC designed and developed a facility specifically dedicated to Marine Robotics and Remote Sensing (MaRRS). 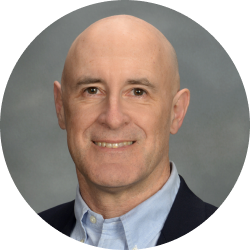 The Duke MaRRS presentation will highlight numerous platforms, sensors, and applications that will inspire the audience to develop their own maritime (or terrestrial) drone projects using rapidly emerging drone technologies and Duke University’s lessons learned. 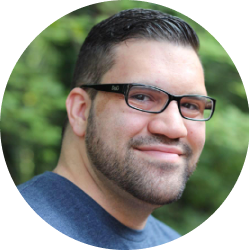 Jonathan Fontanez is the CEO of forage.ai, an agriculture technology company focused on creating actionable insights based on past, present, and forecasted trends of environmental data. Forage.ai is a culmination of over a decade of experience working on applications to analyze and visualize big data. Knowing that data is key and traditionally siloed in the agriculture industry, forage.ai focuses on using machine learning, Industrial IoT solutions, and a real-time open data pipeline to ingest and aggregate millions of data points quickly and easily. 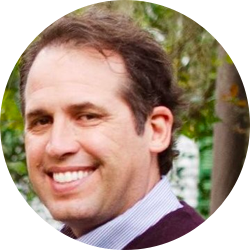 Jonathan is originally from Jacksonville, Florida and moved to North Carolina in 2011 with his wife and twin boys. A graduate of the University of North Florida. He’s passionate about solving complex problems and finding solutions to improve peoples life with technology. He also enjoys hockey, supporting the Carolina Hurricanes and the Tampa Bay Lightning. Topic: Realtime visualization and analysis of environmental data. Using forage.ai to detect the movement of fungal plant disease across farms in the NC area to prevent the overuse of fungicides. Sixteen years ago, at his first job, Federico found himself logging core as a junior geologist in Niger, Africa. One day, the modeling computer crashed with no internal resources to address the problem. His boss, perhaps recognizing his latent interests, gave him a shot at fixing the problem. And from that long night, Federico’s career has focused on information technology for the mining industry. Federico’s latest venture is Imago, a company he co-founded a mere 15 months ago. In the past 12 months alone, his software has been deployed within 25 of the largest mines in the world, where it is being used by geologists and scientists to capture and catalog images of coreboxes, chips, blastholes, thin sections, drone footage, site imagery, acoustic, XRF and other types of geoscientific imagery. Topic: Using commodity cameras to extract value from geoscientific images. Federico will demonstrate his latest software tool, which is now in use in 25 of the largest mines in the world. 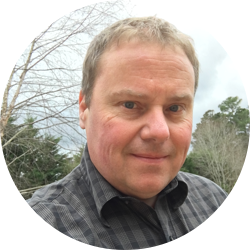 He will also discuss machine learning, and how, when coupled with geologic/geoscientific imagery, can be used for a wide variety of processes, including automatic grain size calculation, geotechnical calculations (RQD), and more. As EPA’s next generation emission measurement (NGEM) lead, Eben helps create new paradigms in air pollution source management. 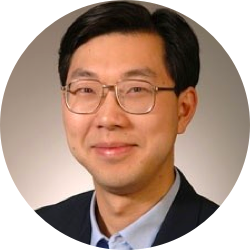 Following his Ph.D. in ultrafast spectroscopy and optical-material interactions at Wake Forrest University, Eben worked for a laser system start-up in San Jose, then a fortune 500 company in Boston, focusing on nano-instrumentation and product design. Eben joined EPA in 2003 and specializes in the development of novel technologies to meet difficult emerging air pollution challenges. He collaborates with industry, communities, and regulators alike, focusing on realization of implementable solutions. Topic: A range of industries can emit air pollutants from fugitive leaks and malfunctions that are hard to detect, locate, and manage. These stochastic sources can create significant impacts on near-by populations, generating contentious issues. Enabled by the emergence of lower cost sensors and informetrics, a revolution in source understanding and management is on the horizon. Early detection and mitigation of stochastic sources by NGEM will create safer working environments, lower air shed impacts, and improved community relations. Ultimately, NGEM tools will allow industries to achieve source management objectives in more cost-effective ways, lowering both operational and regulatory burden. Frank McInturff qualifications include a broad of environmental compliance, investigation, and remediation engineering; safety risk management; and technology project management. Mr. McInturff provides strategic leadership in leveraging technology for the delivery of EnSafe traditional environmental and safety services. Topic: Although much of the technology evolution behind small Unmanned Aerial Systems (sUAS or drones) has been driven by the U.S. Department of Defense’s (DoD) strategic defense initiatives, it is the emerging commercial applications of sUAS that has driven new regulations and business use cases for imagery collection, data analysis, visualization and management. Learn how we charted the path for the first commercial sUAS use government and industrial customers. Projects have included the use of multiple sUAS aircraft, optical and LiDAR imagery collection, ground control, various post data analysis/visualizations and map management and collaboration. Data acquisition included high resolution imagery, real-world topographic mapping, stock pile volume analysis, and conceptual site model development with 3D views. Dr. He is a Distinguished Professor in the Department of Marine, Earth, and Atmospheric Sciences at North Carolina State University. 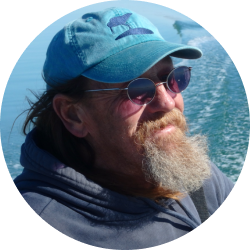 His research expertise spans from coastal circulation dynamics, air-sea interaction, to biophysical interactions. 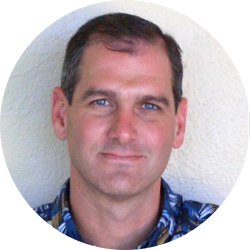 As the director of the Ocean Observing and Modeling Group, he conducts coastal ocean observations, remote sensing data analyses, and also leads the development of prediction models of ocean circulation, air-sea-wave interactions, physical-biogeochemical couplings, as well as data assimilation. Dr. He served as an Associated Editor for Journal of Geophysical Research-Oceans, and as a guest editor for Ocean Dynamics. He also serves on the editorial boards of several other scientific journals and on the organizing committees of several major international science meetings. He is the co-chair of Gordon Research Conference on Coastal Ocean Dynamics in 2017. He is presently also a member of NSF Ocean Observatories Initiative Facility Board, a member of National Academy of Sciences-gulf research committee, a member of Integrated Ocean Observing System- National Modeling Steering Team, and a science team member of International GODAE OceanView project. Topic: Traditional methods of subsurface characterization of environmental sites have relied on borings, test pits, and monitoring wells. The emergence of geophysical technologies allow subsurface information to be collected non-invasively, and over broader areas than can be characterized by borings alone. These methods help to fill in the blanks between invasive samples, thereby reducing uncertainties at the site. Geophysical methods such as resistivity imaging can reveal bedrock structures that can influence groundwater and contaminant migration. Electromagnetic induction can help delineate landfills and trenches, identify shallow plumes, and locate buried objects such as underground storage tanks. These and other geophysical methods, coupled with state of the art data processing and analysis, can help to provide a more comprehensive approach to environmental investigation and remediation. 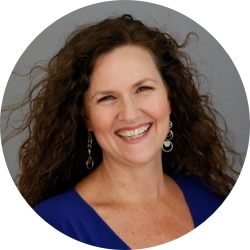 Christine Clifton teaches passionate advisors, consultants, and entrepreneurs how to say what they need to say in important business, networking, speaking, sales, and negotiation interactions. After learning her powerful techniques, their ideas and recommendations get greater buy-in. Whether you’re a leader, entrepreneur, or professional, finding your natural style and unique position statement is the foundation of successful influence. You’ll feel more confident when voicing your value, which draws the right people, resources, and opportunities to you. Topic: The Art of Influence. As technical professionals and leaders, you might tend to use pragmatic results or data when communicating with your team, prospects, or clients. It’s understandable because it’s what you’re great at. However, by doing so, you’re only using half of the tools available to you, which might make you less effective. Amp up your influence abilities by learning two primary decision-making motivators and a conversation method that evokes information you need to be more successful anytime you need to gain agreement in decision-making. 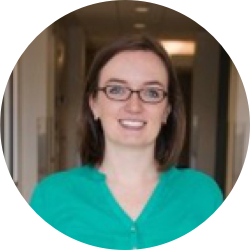 Alexis Wells Carpenter PhD is Principal Investigator at AxNano, a small business entity with over 30 years’ experience developing early stage technologies to address specific market needs. Dr. Carpenter’s expertise is in the design and application of multifunctional nanomaterials for use in environmental and biomedical markets. Dr. Carpenter has a PhD in Inorganic Chemistry from UNC-Chapel Hill and postdoc with Dr. Mark Wiesner in the Superfund Research Center and Center for Environmental Implications of Nanotechnology at Duke University developing zero-valent iron technologies for in situ sediment remediation and enhanced wastewater treatment. AxNano is a sub-entity underneath Triad Growth Partners, LLC (TGP), which connects entrepreneurs and scientists to launch or enhance existing technologies and build profitable businesses. Topic: Advanced Composites for In Situ Remediation of Groundwater and Surface Waters. This presentation will focus on two amendments AxNano is developing in their RemRxTM platform for in situ chemical remediation. RemRxTM CRP is a controlled release material for ISCO that AxNano is developing in collaboration with Professor Stephanie Luster-Teasley at North Carolina A&T. The highly tunable polymeric pellets can provide sustained levels of oxidant delivery into the subsurface with a single application, eliminating the occurrence of rebounding. Permanganate and persulfate-based CRPs are available for pilot scale field testing. AxNano is also developing RemRxTM CSI, a zero valent iron-based composite with functionalities to improve both reactivity and transport compared to current ZVI formulations on the market. The ZVI technology is being developed in collaboration with University of Arkansas Professor Lauren Greenlee. AxNano has received federal funding through the Small Business Innovative Research programs of the National Science Foundation, the National Institutes of Environmental Health Sciences’ Superfund Research Program, and the National Institute of Standards and Technology in support of developing these remediation technologies. We have also received funding through the One NC Small Business Program through NC Commerce. We are currently looking for pilot testing sites for both the controlled release CRPs for ISCO and the zero valent iron CSIs for ISCR. Jason is a technical executive with unique experience in leading complex research and development programs in academic, government, and industry settings. 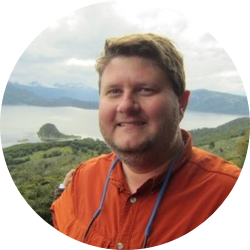 He earned a degree in Environmental Sciences at the University of Virginia, where he concentrated on statistical modeling of freshwater ecology, and where he first learned about GIS and remote sensing. He returned to school to earn a Masters Degree, and most of a PhD (ABD) before cofounding a geospatial startup which was acquired by an aerospace company in 2010. Topic: EnviMetric: A machine learning model for soil and groundwater remediation. Jason’s talk will describe a machine learning program created to show the most likely extent of contamination of soil and groundwater. Azimuth1 created EnviMetric with support from the National Science Foundation to provide a predictive model of contamination that is trained from thousands of prior contaminated sites, accounting for the contaminant type, soil structure, groundwater, geomorphology, and climate. The outputs of the model can be used to estimate the location of an unknown source zone, or to predict the likely 3D plume geometry from a known source zone location. The talk will explain the software’s data collection and augmentation, model preparation, and examples of case studies using model outputs. Tests with users have shown that the EnviMetric model provides a useful line of evidence for site investigation, and supports conceptual site modeling and risk reduction.